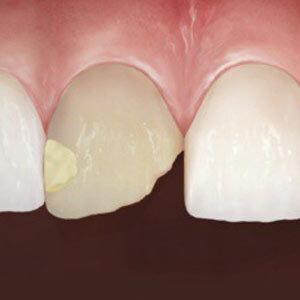 If you feel as though your missing tooth or teeth are a permanent fixture in your smile, think again. Fortunately, these dental issues are easily repaired with dental implant restoration. Unlike other tooth replacement options, dental implants replace not only the missing tooth, but its root as well. Learn more about dental implant restoration with help from your Chatham, NY dentists Drs. Domenic Riccobono and Vicki Cohn at Countryside Dental. Dental implants use three main parts to replace teeth. Your dentist implants the fixture, a small, cylindrical titanium post, into the jawbone beneath your missing tooth to replace its root. The implant’s prosthetic tooth, usually a porcelain dental crown, replaces the tooth itself. The abutment connects the fixture to the prosthetic tooth, completing the implant. Single Tooth Replacement: Single tooth replacement uses a single implant to replace a single tooth. Useful in situations where patients lost one or more teeth randomly rather than in a row, single tooth replacement replaces both the tooth and it's root. Multiple Tooth Replacement: This option uses a dental bridge-like restoration to replace several teeth in a row. Unlike a traditional dental bridge, which uses the surrounding teeth as an anchor, multiple tooth replacement uses one or more implants on either end of the bridge to anchor the restoration into place. Implant-Supported Dentures: Traditional dentures rely on gravity or suction to stay in place. This could lead to the denture moving around or even falling out, causing a potentially embarrassing situation. However, dental implants placed throughout the mouth’s arch give a denture something to latch onto, keeping it in your mouth where it belongs. How can my Chatham, NY dentist help me overhaul my smile? Dental implants are often used in conjunction with other restorative or cosmetic dentistry procedures to give your smile a completely new look. Teeth whitening is one of the easiest ways to make over your smile. However, whitening procedures are not effective on porcelain, meaning you should work with your dentist to match the implant’s tooth with the shade of your whitened teeth. Dental bonding or veneers repair chips or cracks in the teeth, giving your smile the overhaul it needs. For more information on dental implant restoration, please contact Dr. Domenic Riccobono, DDS and Vicki E. Cohn, DDS at Countryside Dental in Chatham, NY. Call (518) 392-5231 to speak with a friendly and knowledgeable associate about scheduling your consultation for dental implants today!